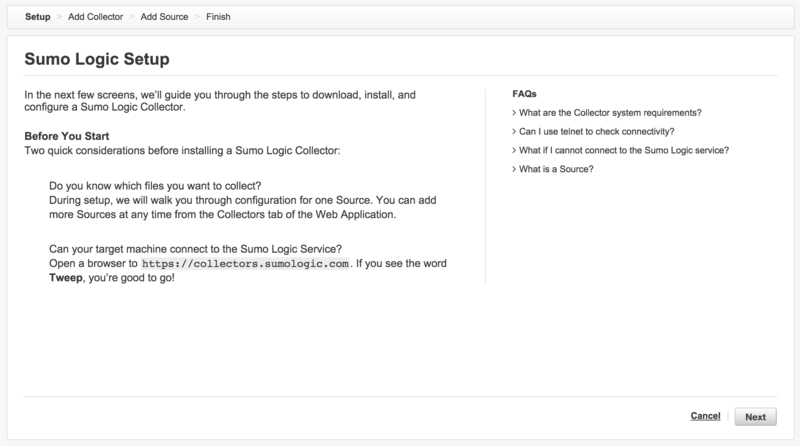 The ability to upload local static files without configuring a Collector so that you can start searching right away! 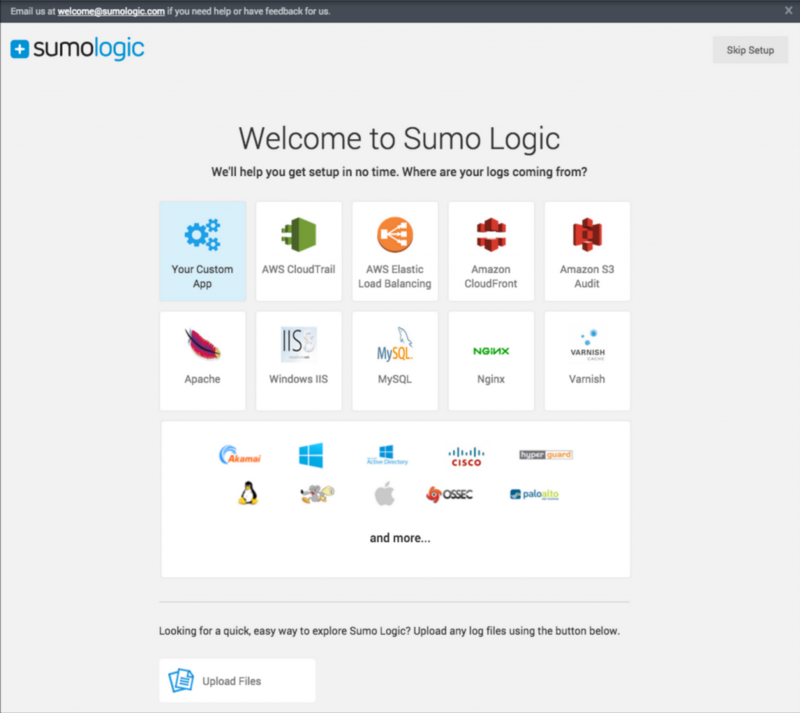 A completely redesigned experience for setting up Apache, Windows IIS, MySQL, Nginx, and Varnish Sources. 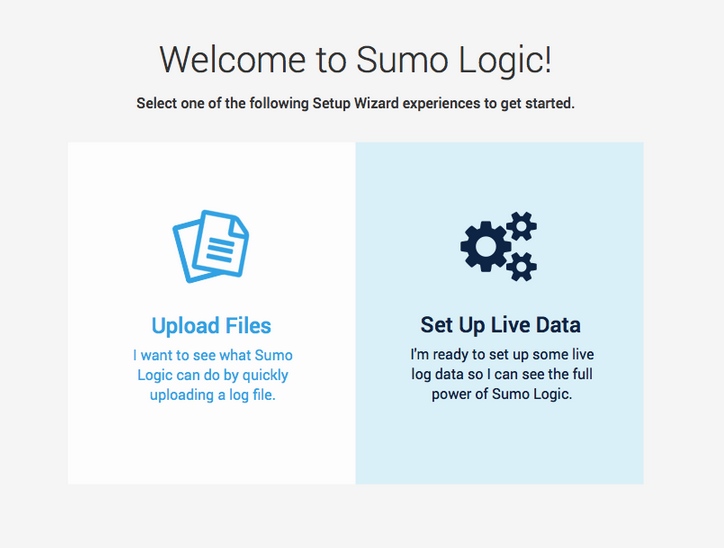 For more information on this release, please contact Nancy Chu at nancy@sumologic.com. Based on popular request, a welcome page that clearly distinguishes between a sandbox environment via static file uploads and configuring Collectors to collect streaming data. 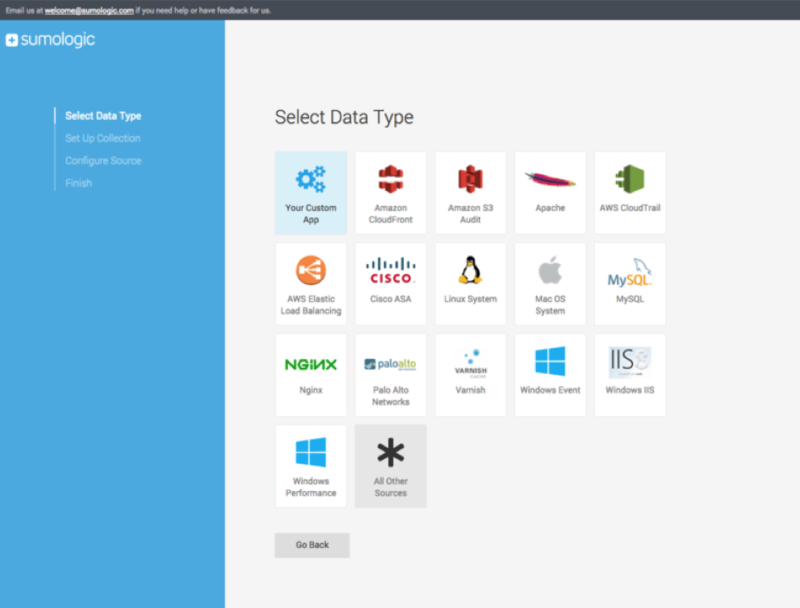 A redesigned experience for setting up HTTP Sources, Syslog Sources, Cisco ASA, Palo Alto Network, Linux system logs, Mac system logs, Windows Events, and Windows Performance.